After wrapping up India at a low score South Africa seems to stand at a significant first innings lead and dent the visitors further. Hosts started the day2 with a very stable game and are playing now quite strongly. Meanwhile, Indian bowlers will try to restrict South Africa for as low total as possible. 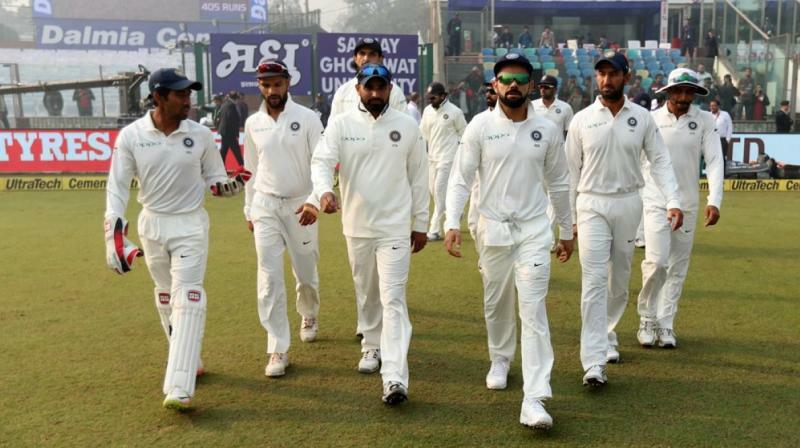 A half-century by Virat Kohli (54) and a calm defensive 50 by Cheteshwar Pujara helped India withstand a fast bowling storm on the first day of the third and final Test against South Africa on Wednesday. Apart from Pujara and Kohli, Bhuvnesh Kumar (30) was the only batsman to reach double digits. While Bhuvnesh Kumar is gathering all praises from fans, other team members are being trolled on social media. Here is how twitter reacted to Team India’s weak game. Well the game is still on……. and hopes are still hagh!